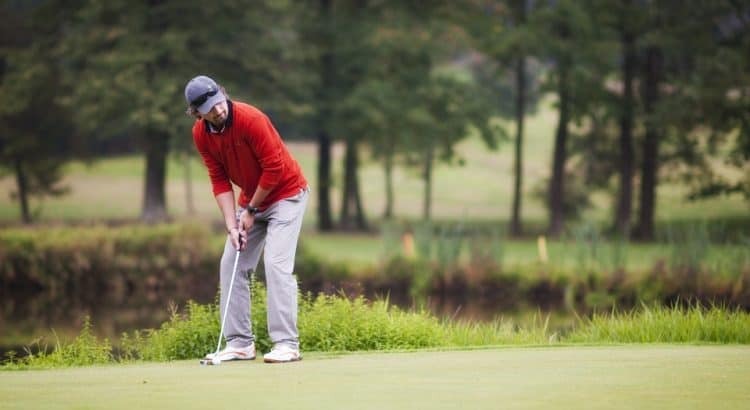 Improving your putting will instantly reduce your scorecard shots and save the embarrassment when you miss a simple putt. Practicing your putting can be achieved at home or by using practice putting greens with targets. The types of putters you use to sink that perfect shot depend on your swing style. You can use a mallet or blade but there are also many other different styles. For long distance putting, the occasional miss is expected but if you are missing short ranged putts time and time again, you may have a problem. If you are looking to improve your putting, take the next step with the top rated putters for both beginners and professionals. High quality putters are designed to assist your stroke and thus improve your putting ability. Using the same old putter to sink your putts can be damaging your success. If you are just hitting the ball with no preparation and aimlessly, you need to read the below tips. Putting is a skill that is hard to concur but once you have nailed it, you will only continue to grow your golfing career. Read The Green. You must understand the green before you begin to putt. From the friction on the grass, to the weather and the slope. Grass than is a lighter shade of green will have less friction to grass that is dark as its less dense. Rain on the ground will slow down the ball whereas a very dry surface will increase the roll. Finally, the slope will determine the direction to which the ball will roll. All these small factors add up and golfers that ignore them will be terrible at putting. Correct Grip. Tightness is not required but more a natural feel. You are not smashing the golf ball as you would with a driver but you are simply placing the ball into the hole. Weight each hand equally on the putter and keep your grip and swing natural. Imagine The End Goal. As silly as it sounds, you need to imagine the roll of the ball in your head before you hit the ball. Taking into consideration the conditions, length and slopes of the green. Correct Stance. Try and focus your weight upon your toes as opposed to your heels. To control your putt, you need to reduce the weight on your heels. Practice Makes Perfect. Rome wasn’t built in a day and so was perfecting your putting every shot. Use practice greens or drills to get as much practice as possible and then take it to the course to see the results. A putting green is one alternative but you can also use an electric putting machine with ball return to bulk practice. The purpose of these devices is to return the ball back to you so that you can practice time and time again without wasting time. There are also various drills that you can carry out to perfect your alignment and strength. For examples, see the putting drills video and you can learn how the professionals improve their putting easily. 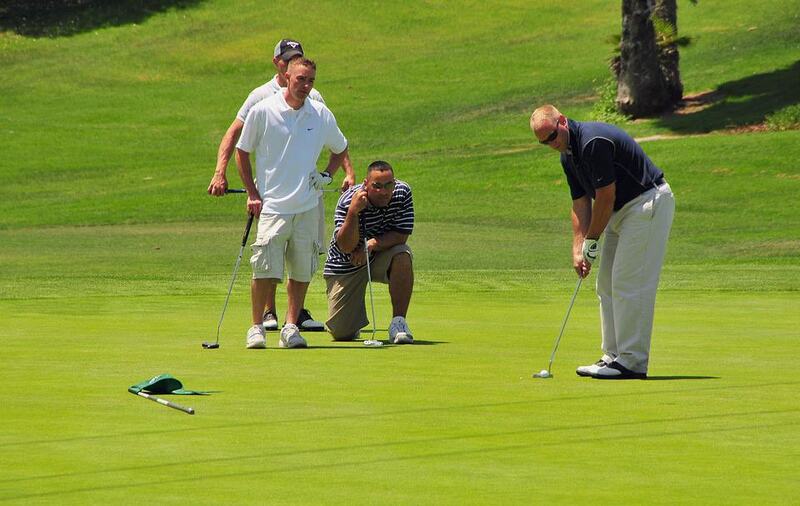 Of course, putting is the last part of every golf hole and its your short game that will make your putting easier. Practicing your chipping will get you much closer to the hole than you would normally, which gives you more of a chance of hitting a putt with one shot. Follow the 5 tips mentioned above and practice them constantly until you find your self sinking every single putt. Golf is not a sport that you can pick up within minutes and become a master at.